David Archuleta Official Site Contest ~ Win a piece of MKOC! 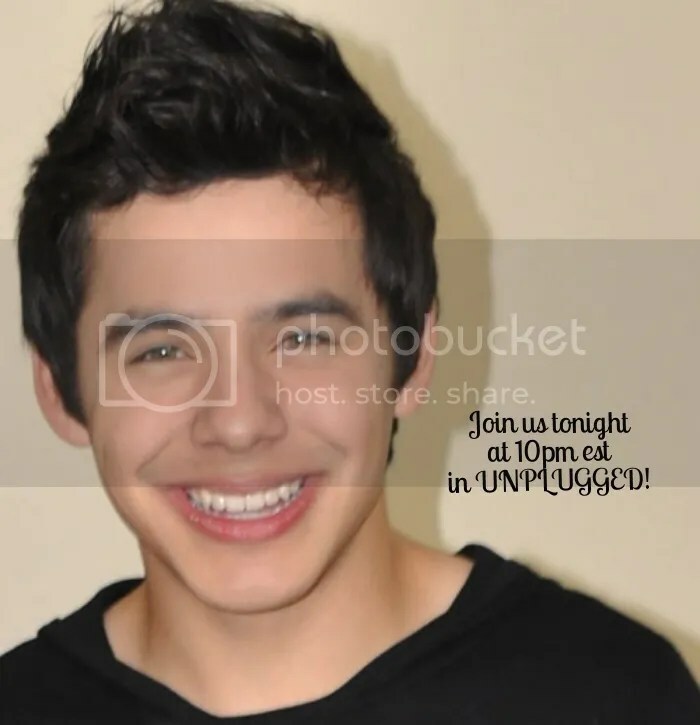 This was taken directly from David Archuleta’s Official Site. Feb 4, 2014 – Bearing David Archuleta’s name against a red background with a snowflake motif, the gigantic “My Kind of Christmas” concert backdrop is a memorable part of that concert tour. Fans – we are now giving you a rare chance to own a piece of this iconic curtain of fabric! Simply log in to this site and leave a comment on this post by Saturday, February 8, 2014, 11.59pm PST and you will automatically be entered into a random drawing to win a 20 by 20-inch piece of the backdrop! The winner will be announced on February 9, 2014. Picture is shown for illustrative purpose only; the actual piece sent to the winner may not have the same pattern. 12-in ruler and CD are shown for scaling purposes only and are not included with the prize.The contest is open worldwide to everyone above the age of 13. Please post only one comment. Anyone who posts multiple comments will be disqualified from the drawing.Last but definitely not least, if you don’t win, there will still be chances to take home a piece of MKOC history and benefit ChildFund International at the same time! Don’t forget to check in with DavidArchuleta.com every day as we will tell you how, very soon!Questions? Leave a comment or email contest@davidarchuleta.com. Your comment to ask a question will be counted as a contest entry. Deadline for submitting your picture for welcome back video for David is March 1st 12 noon PCT. You can go . Group photos are fine. Writing the sign in your native language is fine. If you would rather not include a photo of yourself, you can submit just a photo of the sign itself. If you are not taking a new photo, ideally it would be great to use a recent photo of yourself from the last two years. If you happened to do any interesting things in the spirit of #DA2014 (i.e. volunteering, working on your fitness etc. ), it would be cool to show a photo of yourself doing that activity. PHOTOS NOT FOLLOWING THE FORMAT WILL GET RETURNED TO THE SENDER FOR EDITING. If you need assistance using Photoshop or making a JPEG file, please specify that in your email by using the subject line: TECH SUPPORT and we will find a way to help you out. Hopefully given the extra time, everyone who wants to participate will be able to do so. Happy 2014 to everyone! Looking forward to receiving your photo! This entry was posted on Wednesday, February 5, 2014 at 1:19 PM	and is filed under @DavidArchie, Appreciation, Archies, concerts, Contests, fillers, Uncategorized. Tagged: #DA2014, Archuleta, Concert, Contests, David Archuleta, Gotta love him, leave a comment on the OS!, missing him, MKOCT, singer, Standing by him, We'll Be Here, Welcome Back David. You can follow any responses to this entry through the RSS 2.0 feed. You can leave a response, or trackback from your own site. Thanks for the reminder, dja! I done them all when they first came out because if i don’t, it doesn’t get done! haha Would love to get a piece of that curtain to go with all my momentoes!!! Voted like crazy for David in the Musiqe contest, but, alas, our David lost against Scotty! His fans must of been in a frenzy! But, we all know who # ONE is, don’t we???? Wow, February is going fast, now that January is over. Next week is Valentine’s day, the next week I go to Vegas for a week and then it’s March! Then it will be St. Patricks day and then, finally, but what we’ve all been waiting for………..D A V I D!!!!!!!! Just getting the “goosies” thinking about it! Tonight, on AI, are the Hollywood auditions when David sang Heaven 6 yrs ago! WOW!! Hello Voicelettes! Been in lurk mode for the longest. I’ve been out of internet since my big move back in December. Ha, ha. But I have been trying to keep up with what’s going on here. Just wanted to come out and say good luck to all of us who entered for a chance to win a piece of MKOC. What a great idea! I’d like to also share with you all that for a few weeks now my anticipation for David’s return has been building up with excitement. There’s butterflies in my stomach, the flicker of affection for him that could never completely burn out has been flaring up every now and then and I gotta go and look for him in video Any video of him. I can’t wait! Does anyone else have a sense of SOMETHING building, approaching over the distance? If my name should be drawn for the backdrop piece, I will divide it into four pieces for four fans! Best I can do! SB, do you already have the four fans in mind? If not, I’d love to get on your list! Lol. No pressure, just a thought. Ha ha. Sure Gayle you would be #1 on my list of 4! Good to see you back. 🙂 I too can feel the excitement building. Awww …. What a generous idea! Hi all!!! I’d love to win it and see how many swatches I could get out of it. I would surely keep one for myself to add to David memorabilia (including water bottle hehe). Abrra and SB so kind to want to share ♥ Not surprised coming from you two. If you haven’t already left a comment on David’s OS please do! Here are some from familiar names I haven’t seen in a while. It will bring back some fond memories of Santa Rosa MKOC VIP and concert! Great news have been to all David’s Christmas concert . This would be awesome to win . Welcome back david can ‘t wait to see you in concert. . It’s been a long two years with lots of changes . Would love to get this piece of memorabilia to add to the dozens I already have. Perhaps it will be big enough to wear as a scarf or bandana for the next VIP and test if David will recognize and remember it. HAHA! Thanks for allowing the fans to maintain their connection with David. Much appreciated. I was fortunate to attend VIP and MKOC concert in Stroudsburg, PA. I think we are all winners when we get to attend one of David’s concerts so a piece of the curtain is icing on the cake. The best thing will be to see David’s new curtain rising whenever he’s ready to put on a new show. What a wonderful idea! I would love to have a piece of that beautiful cloth! It brings back such special memories of the MKOCT that I was fortunate to be able to attend in SLC. It was such a wonderful concert! Thank you for making this possible for the fans. That beautiful backdrop was such a treasure…and his tour was just a piece of heaven. We all appreciate everything David and his team have done to gift fans while he has been away. Even though he has been away, we have felt his heart! We are very excited for his return home! Thank you again for everything! Interesting addition that I hadn’t noticed to the contact page…. You have a question on how to use certain features of this site? Or ran into some layout glitches or technical difficulties? Or just found a typo (dangit)? Please do not hesitate to contact us and let us know, and we will try to fix things for you as soon as possible. Also check our FAQ, maybe the answer you’re looking for is right there. Please note: this is NOT a contact form to write to David. David is currently serving a mission in South America. He is not available for interviews, appearances or concerts at the moment. LOVE THIS TWEET!!! GO TWEET HER AND RETWEET!!! Ok, just for you guys and to show support, I left a comment. I just had a thought, though. It’s kind of a shame to cut up that beautiful backdrop into so many pieces. But at the same time, it would be great to have a nice size piece to wear to David’s first concert as a scarf or bandana. Great idea from David’s team to bring all the fans together. I just left my comment on David’s OS site and I was #224. The excitement is mounting. Gayle, I feel it too! Watching the full-concert video that dja posted above. Memories… It was such a good show, a good tour. He’s truly one of a kind! On a closer look….WHAT DOES THIS MEAN???!!!! If it came possible sometime to have an auction of an item called memorabilia, with proceeds to a charity, I would bid on a scarf of David’s without hesitation. It looks to me like they will be cutting up the remainder of the backdrop and make pieces available for a donation to ChildFund International..
delayed flight…my sweet friend @DavidArchie is singing to me over the LAX speakers. missing that lil angel. I like to have a piece of that curtain. I would make a great pillow to lay my head, and I would have the most beautiful dreams. I signed up for a piece of that curtain. I’ll have it made into a cushion. It will fit my home’s colour scheme. I think they are making a head count with this lucky draw to see how many are still waiting. Everyone should sign up. Maybe if there are enough people David would put on a concert sooner rather than later. I hope they’re not gauging the number of fans by that list. Just a little over 200 signed up for that little piece of memorabilia. I know there has to be a lot more than that who are waiting for him to come home. They just aren’t going on fan sites or the OS. I wonder how many sent in pics/signs for the video? Go tell them you’re ready! LOL That is the cutest and sweetest thing I’ve heard in a while. I kept trying to think of what was missing on this thread and I finally figured it out. Here you go …. MT, thanks for inviting Vangie to join us. She and David make a delightful team. And we all understand Djafan’s good way hurting face. Especially the cheeks. I am enjoying all those plans for a piece of the curtain. You people are so creative. 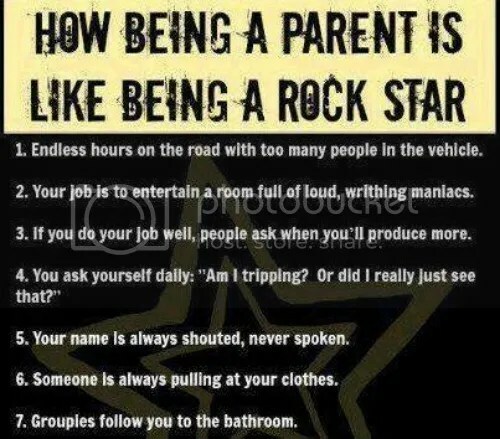 I saw this today and it gave me a smile. I love those Vangie vids. Thanks Abrra. It’s fun to find myself in the quote corner, but pretty humbling to follow much more erudite writers. Dayzee, I’m with you. I would probably carry it around and be something like this with it.. Thanks to all who came to chat 🙂 It’s always a fun time. A Sunday puzzle. What is better than David Archuleta? Solve the puzzle and find out. ROFLOL That was a trick question! I know the answer! Too bad, Sky couldn’t join us because of her back problem. Please get well soon, Sky. Pray tell the answer to Rooster’s riddle, Fenfan! Good on you if you figured that out. haha I had to look it up. I cannot tell a lie. I cheated and looked it up.